Living… the high life in the Palisades in Southern California. Lisa is more wealthy than the other members of her clique; both of her parents are surgeons. She lives in one of the more well-adjusted households as well. Her closets are full of designer clothing. Profession… student at Bayside High School. 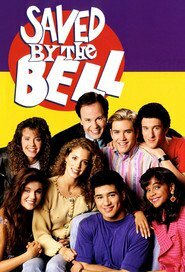 Lisa is the school gossip and fashionista, organizing a fashion show on campus with the help of good friend Zack Morris. She also contributed to the group’s stint on the campus radio station KKTY, where she hosted the gossip segment. She’s got plenty of social capital in the Bayside halls, and as long as that doesn’t change, she’ll do just fine. Interests… fashion. Lisa cares about who’s wearing what, and isn’t shy about expressing her opinions. She loves shopping and spending money, and her parents love how it keeps her out of the house. She’s also generally interested in everyone’s romantic life and loves being up on the latest gossip. Relationship Status… single. Lisa expresses frustration at only being able to attract geeks like Screech. Often, she’ll be the only one in her clique without a steady relationship. She could finally return Screech’s affections, of course, but she’d probably rather jump off a building. Still, she’s not vindictive; she does agree to go to prom with Screech out of pity. She did also have a brief romance with Zack, which had to end out of respect for Screech. Challenge… impressing others. Lisa is very self-conscious of other’s opinions of her and what she’s wearing. Because she’s a huge gossip herself, she assumes everyone else must be. She’s fairly privileged compared to her peers, so her challenges tend to be more fleeting and superficial. Her biggest problem is probably getting Screech to give up his pursuit of her, but even given his admittedly unusual persistence, he’s basically harmless. Personality… trendy. Lisa can afford to care about what’s in, and she does. She can be alternately shallow and compassionate. Despite her gossipy tendencies, she’s loyal to her friends. After all, they are the most popular kids in school. Lisa Turtle's popularity ranking on CharacTour is #2992 out of 5,000+ characters. See our top-ranked characters and read their profiles.